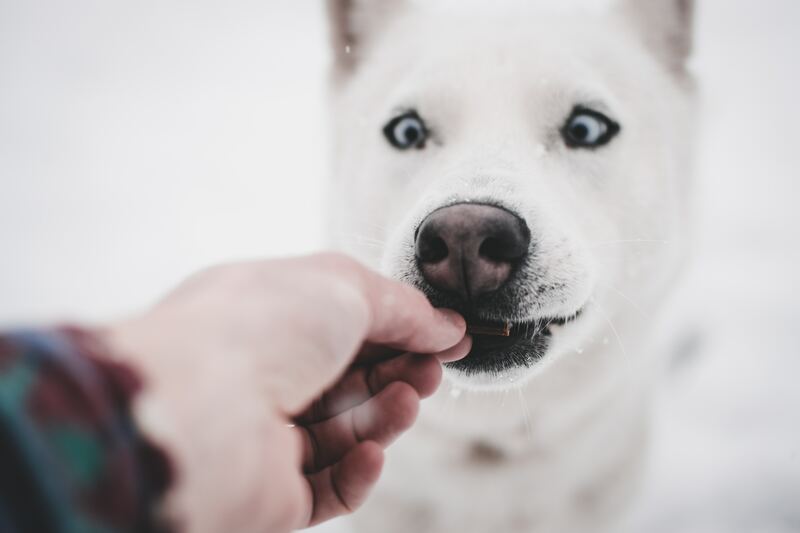 There’s no doubt about it, dogs love treats. Whether it’s store-bought or something you’re snacking on, your pooch will happily devour it if given the chance. However, we want them to live long and healthy lives so we may not feed them everything they want. Did you know that many manufactured dog treats contain sugar? Companies put sugar in their treats mainly for texture but it operates as a preservative too. If you’re searching for a dog treat, be sure to read the labels before you buy. 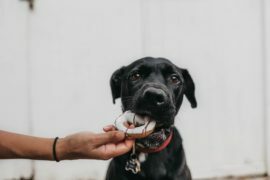 Check to make sure the treats don’t have artificial coloring and flavors like BHT, potassium sorbate, calcium propionate, BHA, ethoxyquin and sodium nitrate. Of course, like us, dogs need some sugar in order for their bodies to function properly. However, that doesn’t mean you can give your pal a big spoonful of Rocky Road ice cream every night. Natural sugars are better options. Your pup’s body requires insulin in order to use and store sugar. Insulin is a hormone that the pancreas makes to control sugar amounts in the blood. If fed too much sugar the insulin level will increase. A high insulin level creates a change in his level of energy, muscle tone, immune system and fat storage. This can cause obesity and diabetes. The artificial sweetener, xylitol, is in many sugar-free items nowadays. Cookies, peanut butter, gum, candy and even sweet-smelling toothpaste can all be toxic to your furry friend. If he ingests anything with xylitol he could develop rapid liver failure or life-threatening hypoglycemia ( a severe drop in sugar). It may be tempting to give him a piece of your chocolate bar but that’s poisonous to him as well. If your pup happens to eat any type of chocolate he could have any of the following: diarrhea, restlessness or panting, muscle spasms, vomiting, frequent urinating, excessive thirst, periodic seizures or death. Obesity is a frequent problem vets see in dogs. 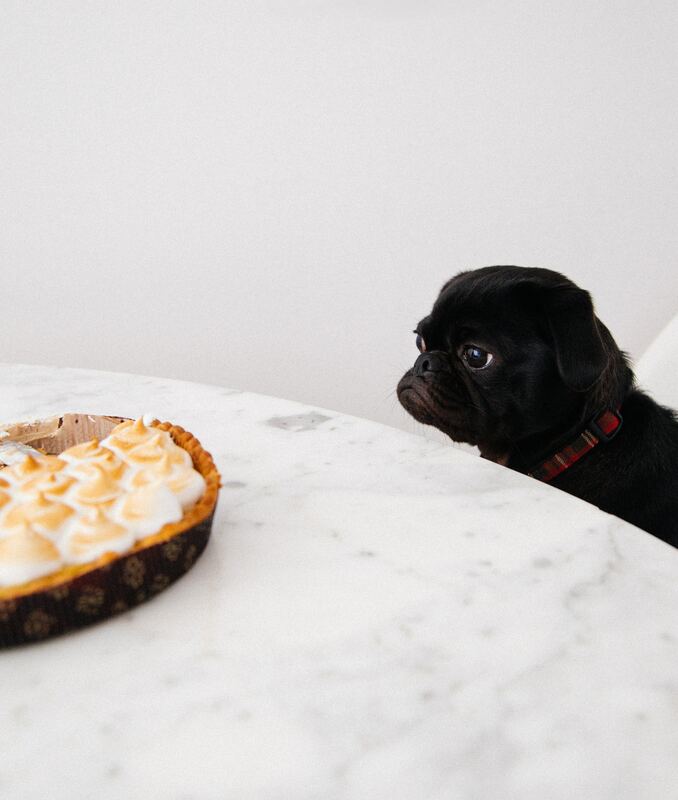 Giving your buddy refined sugars, which are empty calories, will cause him to gain weight. If he gains too much weight he might develop low energy, joint problems like arthritis, heart disease, breathing issues, diabetes and a host of other serious health issues. These issues may be avoided for a time, but the more weight he gains, the lower his quality of life will be. 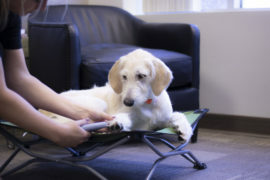 If your four-legged friend is steadily gaining weight, he could wind up getting Type II diabetes. This disease, if left untreated, can be life-threatening. If he gets diabetes sugar can’t be processed in his body due to the pancreas making hardly any insulin or none at all. 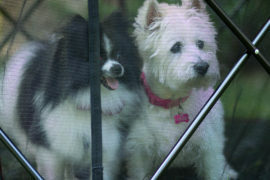 Our pooch’s body depends on micro-organisms like bacteria to aid in digesting their food. Giving him a lot of sugar disturbs these micro-organisms and causes him to vomit or have diarrhea that can sometimes be bloody or severe. Your dog’s mouth bacteria uses sugar to make acid causing his tooth enamel to lose minerals; thus, causing dental disease. Sugar’s in just about everything; it’s unavoidable. Good practices to avoid cavaties include: read dog food labels, feed him low-carb dog food, brush his teeth once a week and have your vet professionally clean his teeth. Now that you know why sugar is bad for your pooch, that doesn’t mean you have to refrain from giving him treats. 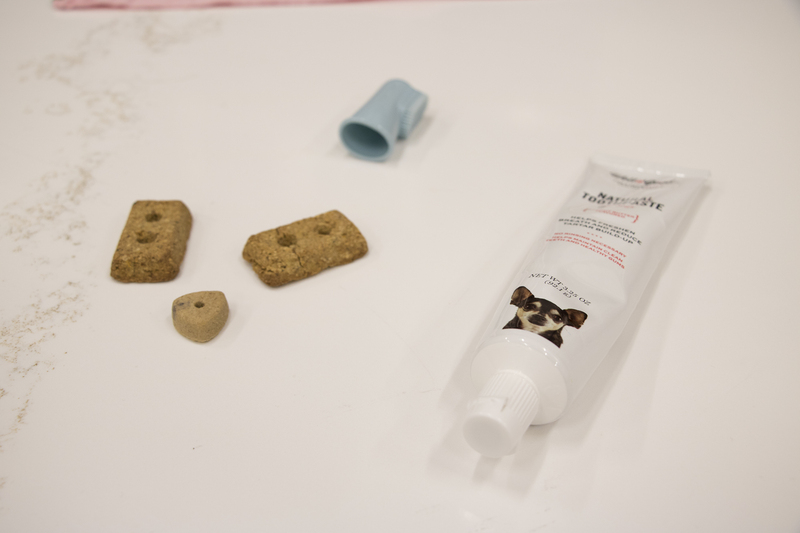 There are other options … you can always make your own dog treats or try some of these common kitchen staples. 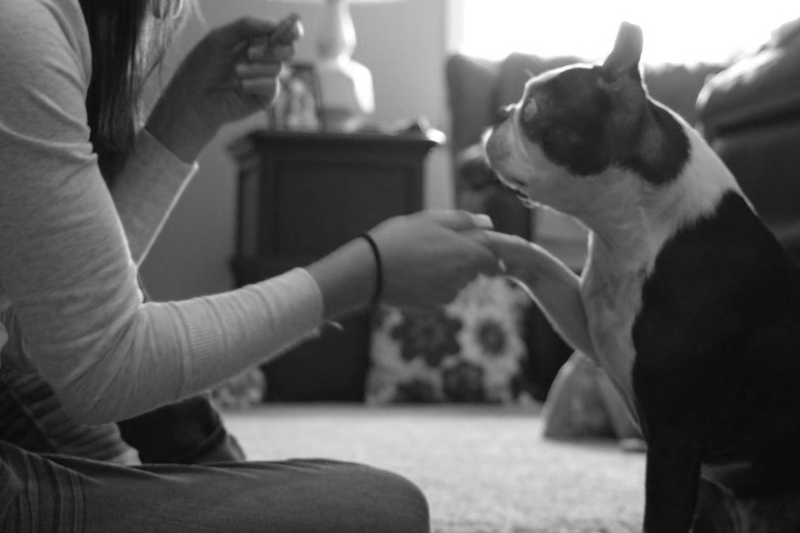 What treats do you like to feed your pup? Tell us on Twitter!